Make and freeze this 5 cheese lasagna before you venture out on a holiday, and enjoy it upon your return. Defrost for 1-2 days in the fridge and reheat at 325 for about an hour. To save even more time, use the no-boil lasagna noodles! In a large pot of boiling, salted water, cook the lasagna noodles according to package directions. Drain, rinse gently with cold water, and lightly coat with olive oil. Reserve. In a medium bowl, combine 1 cup of mozzarella, the ricotta, the parmesan, the Asiago, and the mascarpone cheeses. Add the eggs, parsley, salt, and pepper. Stir until smooth. sauce, then another layer of cheese. Repeat this layering pattern for about 6 layers, using all the noodles and cheese mixture. 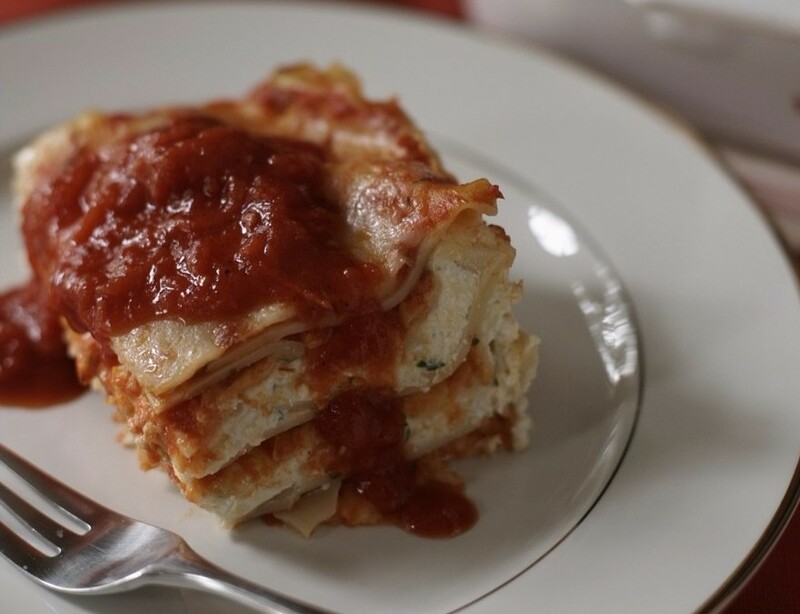 Finish the lasagna with a layer of marinara sauce and the remaining 2 cups of shredded mozzarella. Cover loosely with foil and bake for 50 minutes. Remove the foil and return the pan to the oven for another 15 minutes, or until the cheese is melted and golden brown. Allow the lasagna to cool for 10 to 15 minutes before cutting.